10% spandex, 32% polyester, 58% cotton. With Rockstar 24/7, the softest knit meets our best-selling fit. Your desk-to-dawn denim is now a dream come true. Our 24/7 fabric is made with an ultra-soft, super-stretch knit. Looks like denim, feels like leggings. From desk to dawn. 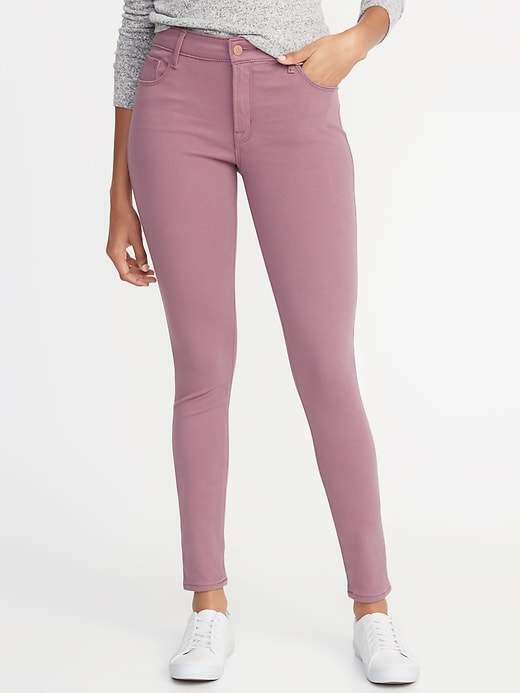 Soft pop-color knit denim, with comfortable stretch.